Eugene Migliaro Corporon is conductor of the Wind Symphony and Regents Professor of Music at the University of North Texas. As Director of Wind Studies, he guides all aspects of the program, including the masters and doctoral degrees in Wind Conducting. He is a graduate of California State University-Long Beach and Claremont Graduate University. His performances have drawn praise from colleagues, composers, connoisseurs, and music critics alike. His career, which spans six decades, began in 1969 as Director of Instrumental Music at Mt. Miguel High School in Spring Valley, California. He has held collegiate positions since 1971, including California State University-Fullerton, University of Wisconsin, University of Northern Colorado, Michigan State University, Cincinnati College-Conservatory of Music, and University of North Texas. His ensembles have performed at the Midwest Clinic International Band and Orchestra Conference, Southwestern Music Educators National Conference, Texas Music Educators Association Clinic/Convention, Texas Bandmasters Association Convention/Clinic, National Trumpet Competition, International Trumpet Guild Conference, International Clarinet Society Convention, North American Saxophone Alliance Conference, Percussive Arts Society International Convention, International Horn Society Conference, National Wind Ensemble Conference, College Band Directors National Association Conference, Japan Band Clinic, and Conference for the World Association of Symphonic Bands and Ensembles. Corporon maintains an active guest-conducting schedule and is in demand as a conductor and teacher throughout the world. He is past president of the College Band Directors National Association and a past member of the World Association for Symphonic Bands and Ensembles International Board. He has been honored by the American Bandmasters Association and by Phi Beta Mu with invitations to membership. He is a frequent guest conductor at the Showa University of Music in Kawasaki City, Japan, and has also served as a visiting conductor at the Juilliard School, Interlochen World Center for Arts Education, and Aspen Music Festival and School. He is the music director and conductor of the Lone Star Wind Orchestra, a professional group made up of passionate and committed musicians from the Dallas/Denton/Fort Worth metroplex. Having recorded over 1000 works, including many premieres and commissions, his groups have released over 150 recordings on the GIA, Toshiba/EMI, Klavier, Mark, CAFUA, Donemus, Soundmark, Albany, Naxos, and Centaur labels. These recordings, three of which have appeared on the Grammy nomination long ballot, are aired regularly on radio broadcasts throughout Asia, Europe, and the Americas. The collective recordings with the North Texas Wind Symphony, Cincinnati Wind Symphony, Showa Wind Symphony, and Lone Star Wind Orchestra have garnered more than 15 million hits worldwide on sites such as YouTube, Pandora, and Spotify. The audio and video digital releases under the GIA label are distributed by Naxos. They include the WindWorks series, Composer’s Collection, and Teaching Music through Performance in Band resource recordings. Other initiatives include the CAFUA and BRAVO Showa Residency Sessions, the Klavier Recording Project, and the Live at the MPAC videos from the University of North Texas Recording Services. Corporon is co-host with Barry Green on The Inner Game of Music video, which focuses on overcoming mental obstacles and achieving one’s full potential as a performer. He also appears with James Jordan on the DVD, The Anatomy of Conducting. He is co-author of the book Teaching Music through Performance in Band, which is published in eleven volumes by GIA Publications. This series includes twenty-three sets of resource recordings by the North Texas Wind Symphony. The Teaching Music Project emphasizes the importance of comprehensive conceptual learning in the music-making process as well as the value of performing music of artistic significance. His most recent addition to this series is entitled Explorations, Discoveries, Inventions, and Designs in the Know Where. Corporon, who was inducted into the Bands of America Hall of Fame in 2014, is a recipient of the International Grainger Society Distinctive Contribution Medallion, the Kappa Kappa Psi Distinguished Service to Music Award, the Phi Beta Mu International Band Conductor of the Year Award, as well as an Honorary Life Membership granted by the Texas Bandmasters Association. He also received the Phi Mu Alpha Sinfonia National Citation for advancing the cause of music in America; the University of North Texas Student Government Association Honor Professor Award for Teaching Excellence, Student Rapport, and Scholarly Publications; the American School Band Directors Association A. A. Harding Award for making significant and lasting contributions to the school band movement; and the California State University-Long Beach, College of Fine Arts and Department of Music Distinguished Alumni Awards. 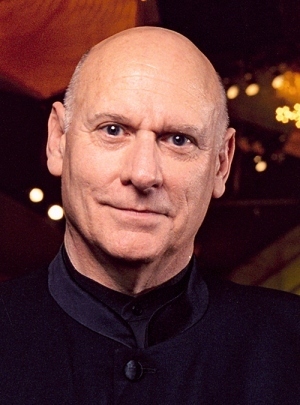 He was awarded the Midwest Clinic Medal of Honor in 2015 to recognize his unique service to music education and continuing influence on the development and improvement of bands and orchestras worldwide. He is grateful to many people for their guidance and inspiration in his life. Among them are Charles Yates, Robert Reynolds, Benton Minor, Don Wilcox, Larry Maxey, Jack Hopkins, Frederick Fennell, Barry Green, James Jordan, and Carolyn Corporon.